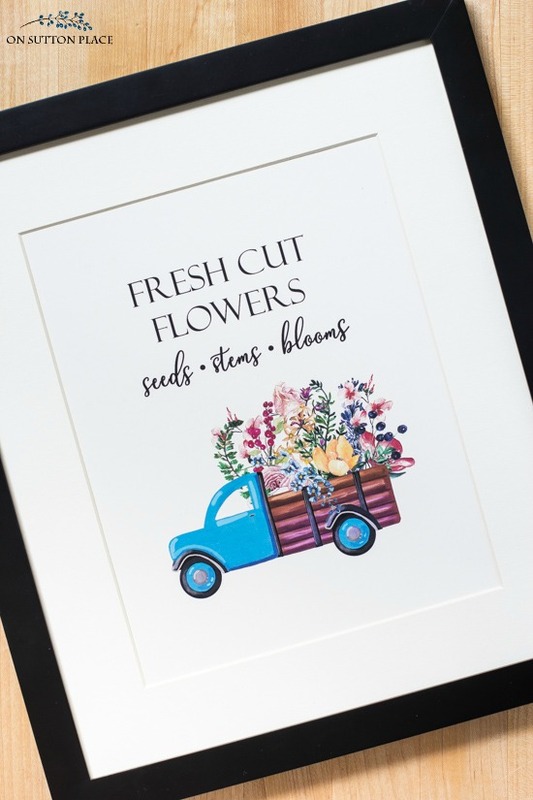 Use this free printable wall art for easy summer decor. Just print and frame! 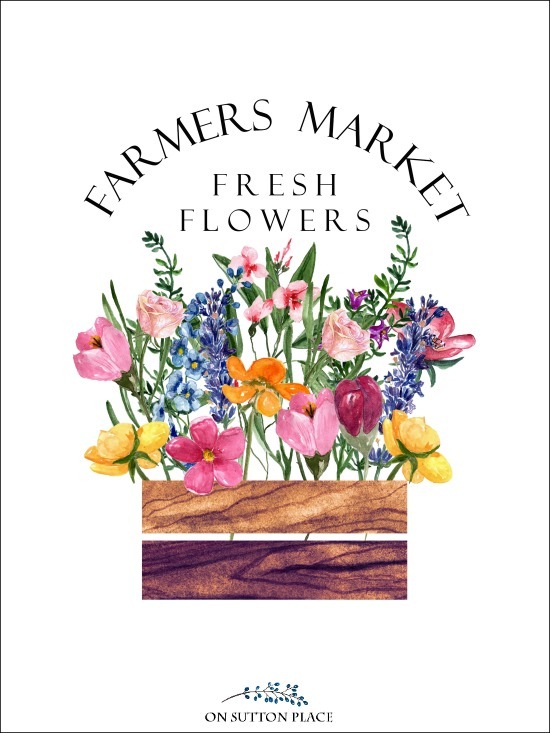 Inspired by the fresh flowers found at summer farmers markets. When it comes to home decor, nothing says more about the people who live in a home than the artwork. It tells the story of your family…your interests and your sense of style. Decorating for the seasons is a big part of this. I believe that everyone should be able to decorate their homes with seasonal art, no matter what their budget. That’s why I offer free printable wall art that can be framed and hung in your home. In addition, there is an exclusive, members-only library that contains more free printables that are not available to the general public. It’s called the OSP Member’s Only Library and that’s where you will find this set of summer printables. The library is a growing collection of printable wall art, banners, gift tags, ebooks, checklists and more. 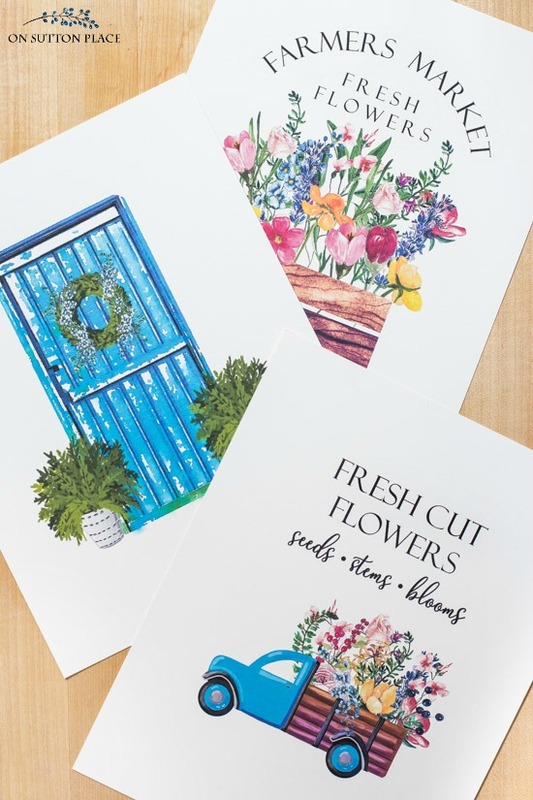 The latest addition to the library is this set of printables inspired by the colorful flowers that bloom in the summer. 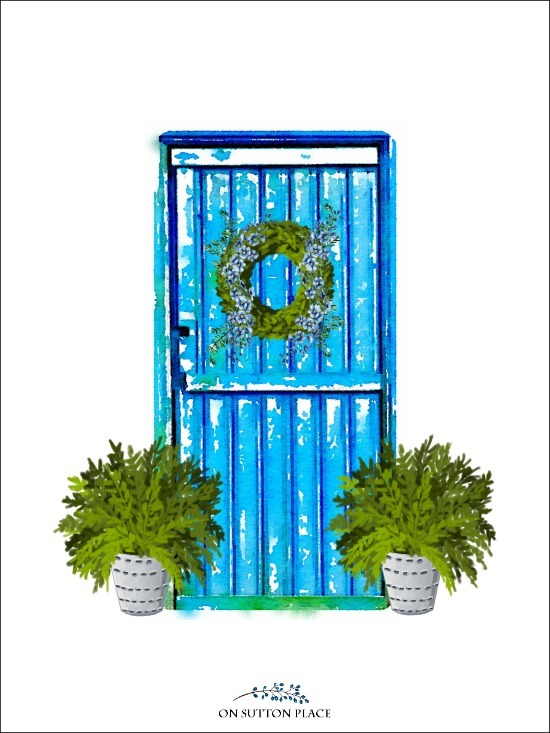 If you are already an OSP email subscriber, you can download this summer-inspired free printable wall art at any time in the Member’s Only Library. If you would like to join my email subscriber list, just fill out the form below. The file will arrive in your email inbox shortly after you sign up! OSP subscribers have access to the Member’s Only Library at all times…and it’s always growing. If you are curious about what’s in the library, click HERE. 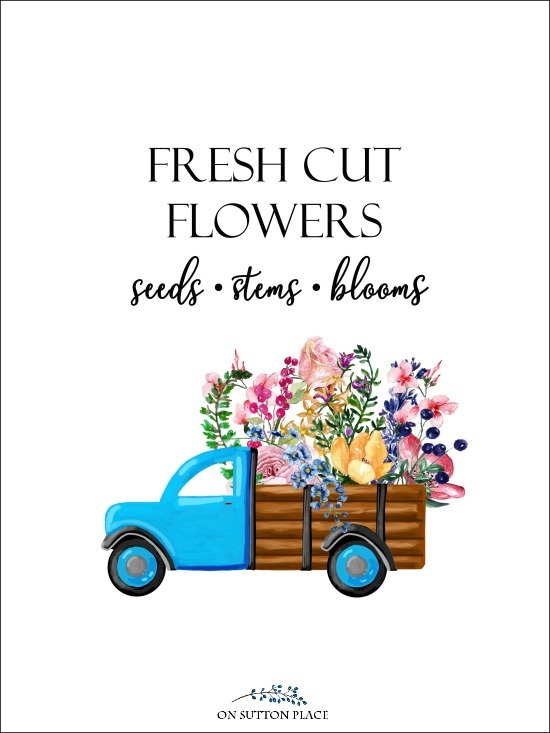 I send two or three emails per week and offer DIY & decor ideas, easy gardening projects, recipes, seasonal inspiration, and of course, free printables. Please join us! *Your email will not be shared. « Gingham, Aprons, Olive Buckets & More! I sent you an email Roz! I think I must be going crazy – I can’t seem to download these beautiful prints and have looked and looked for the password. I have been a subscriber for years, do I need to subscribe again? Beautiful, Thanks for Sharing. Will use for cards to send. Awwwwsome. Thank you so much for sharing these beautiful prints. The colours are so fresh and pretty! I love every one of these thanks & hope you have a wonderful Mother’s Day. Happy Mother’s Day!! And thank you for making mine special too!! Love the pictures and the vivid tourquoise color. It really does feel like spring!!! Very cute prints.Hope you are having a wonderful Mother’s Day ! LOVE the new Summer Printables! Going in a couple of frames I reserve for your work. Happy Mother’s Day! Thank you! Your prints are so cute.